Fashioning Possibilities | Arvind Ltd.
What does Fashioning Possibilities mean to us? Where audacious thought is backed up by tenacious action. Where disruption is an opportunity to embrace and not a threat to avoid. Where people’s creativity and enterprise are more valuable than the machines they work with. Where the well-being of employees extends to caring for their loved ones as well. Imagine what such a business could achieve. Imagine the possibilities it could fashion. That’s the enterprise we are building at Arvind everyday. It’s why we identified denim as a growth area before others and continue to lead the world through innovation. It’s why we are the benchmark in environmentally friendly production techniques. Its why we are focusing on advanced materials that can protect our soldiers and strengthen the nation’s infrastructure. It’s why we bring the best of international brands to fuel the rising aspirations of millions of Indian customers. What happens when modernity and tradition come together? Together they fashion the possibilities of re-kindling age-old values of self-reliance, triggering a domino effect that will change the lives of artisans, giving a fresh perspective to set fashion styles and even making the planet healthier. 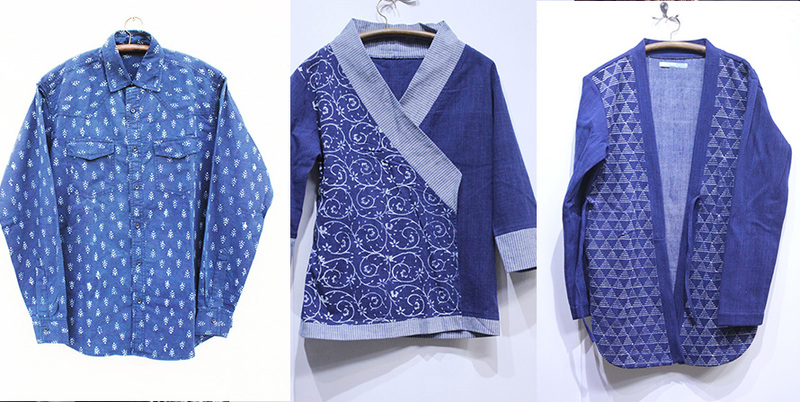 These are the possibilities we fashioned when we merged Khadi, a symbol of sustenance, self-reliance, and humility with Denim, an ageless symbol of style that has been reinvented several times. While we've come a long way since our struggle for freedom, a time when Khadi was at its peak as a symbol of resistance to foreign goods and perseverance, it hasn't lost its relevance. India is on a steep upward climb to the development and while we're globally collaborating with the leading nations, we've realized the value of “Making in India”. So, we decided to weave together these values with an ageless symbol of fashion, Denim. To start with, we created a network of skilled, local artisans to directly procure the fabric from. 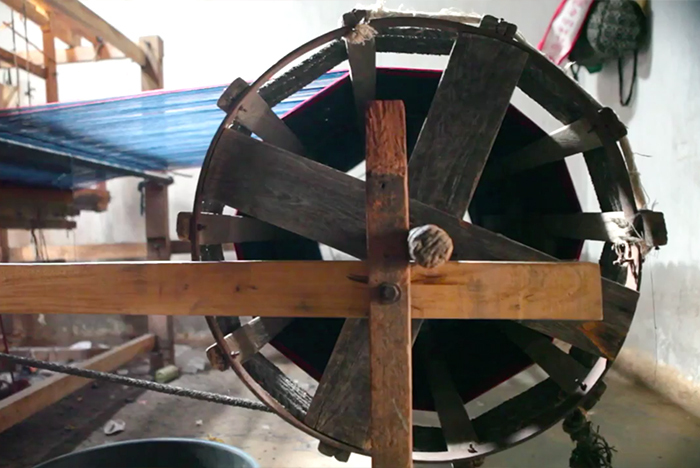 Each and every yard was spun, dyed and woven by artisans carrying on century old family traditions. Everything was made entirely by hand. From the spinning - using the famous Charka wheel immortalized by Gandhiji, to the hand dyeing of the hanks using vegetable indigo, to the weaving made exclusively on handlooms. No electricity was needed throughout the whole process. Our endeavour led to Khadi Denim winning the best fabric award at the Global Denim Awards, a platform where designers from all over the world approached us for a collaboration. 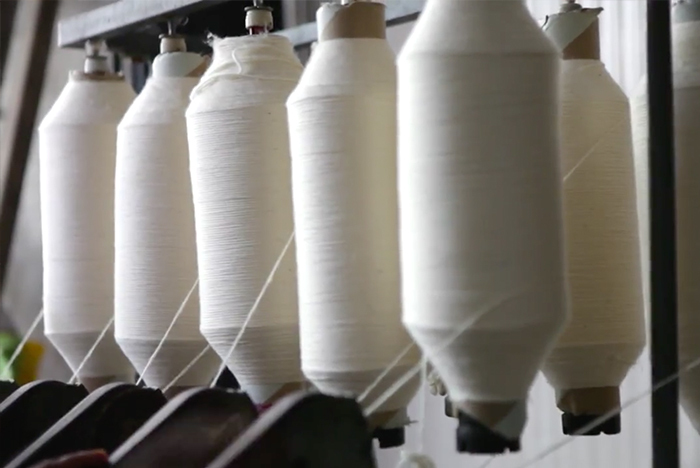 At a time when multiple international brands are flooding the Indian market, Khadi Denim is a reminder of our roots. And it’s a signifier of progress with sustenance. It’s arguably the most sustainable denim fabric ever made. And the best part, every piece is a work of art. How many times does it happen that you watch a sci-fi movie and marvel at the scenarios in it. And keep wondering when those fictional worlds will become a reality. Well, in Arvind’s world of fashioning possibilities, some of these futuristic realities are already coming true. Our design and innovation teams are working round-the-clock to come up with the most fascinating solutions possible. One such process innovation was an exclusive solution for delivering fast fashion solutions that we offered to one of our strategic partners. The process involved our creative team analyzing and translating the customer’s thoughts through CAD (computer-aided design). The design software helped us simulate the most complex weaves and structures on a screen, similar to the actual fabric prepared on the loom. Making it easier for the client to directly place bulk orders and saving a humungous amount of time, effort and iterations. 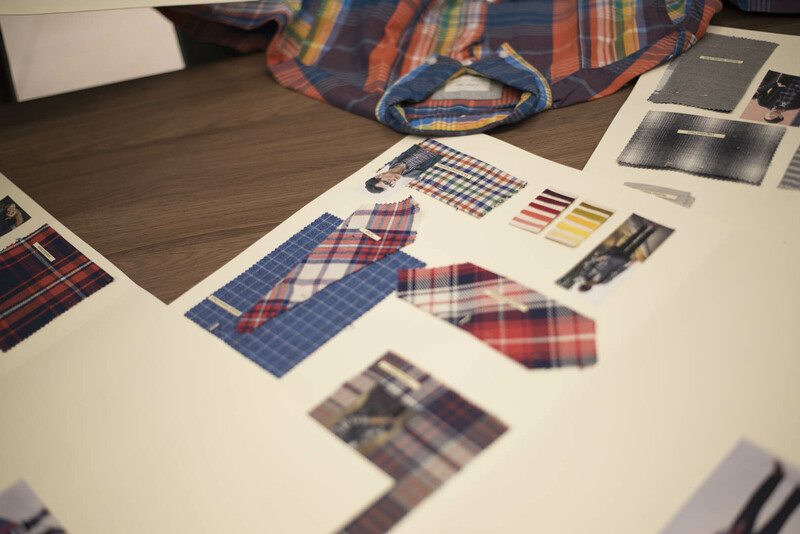 Another of our team’s masterpieces is the Traveller Shirt. A boon for the modern-day, jet-setting lifestyle, this shirt requires miniscule maintenance thanks to its wrinkle-free properties and comes with anti-microbial properties that reduce bad odour. And if that wasn’t enough, the shirt also provides protection from UV rays and is stain repellent. Immaculate, the first and only true non-iron Cotton fabric in India with wrinkle-free and better drape properties is also part of our new age offerings. Sounds straight out of a sci-fi film? We think so too. And it didn’t stop there either. We went onto reinvent denim like never before. Innovations like the Khadi Denim that instilled a revival of the age-old fabric, Khadi; Neo Cord, a fabric that has the looks of corduroy and the soul of Indigo; Boomerang, the denim with a super stretch that comes right back; and many more have helped us make a mark globally and earn titles like the best fabric at the Global Denim Awards. And then there was the perfect example of co-creation and collaborating when we created the Rapid Movement Chino with a client. We first translated the client’s needs of performance, comfort and shape retention into several product concepts. And several rounds of designing, weaving, finishing and garment manufacturing later we had the ‘Rapid Chino’ ready for production. A garment that stretched, retained fit, and was water resistant and stain resistant. We even supported the client in test marketing of the product which delivered outstanding results. Inspite of many such successes, our teams don’t rest on their laurels and strive every day to create the next state-of-the-art material of the future. That’s just how things work in a world where fashioning possibilities is the norm. Remember those days when you frequented the flea markets in your city, mixing and matching odd pieces to create a stylish look for yourself. Or browsed fashion magazines to get acquainted with the latest styles trending around the world. Or even asked your relatives or friends travelling abroad to bring you some of your favourite brands. We’ve all come a long way since then. Today you have all the international brands in your neighbourhood mall, and Arvind has been at the forefront of this revolution. We made the white shirt iconic in India, by launching Arrow in 1995. To cater to growing aspirations of modern day India, we launched Tommy Hilfiger in 2004. Since then Arvind has launched more than 20 of the biggest global apparel brands in India. Right from having the best in class retail capabilities in both distribution and operations to cutting-edge retail formats across luxury and value categories, Arvind has brought a gamut of sartorial choices to the doorsteps of millions of consumers in India. If there’s a GAP jacket, a Tommy Hilfiger t-shirt or a Calvin Klein dress in your closet, Arvind is responsible for it. And that’s just the tip of the iceberg. 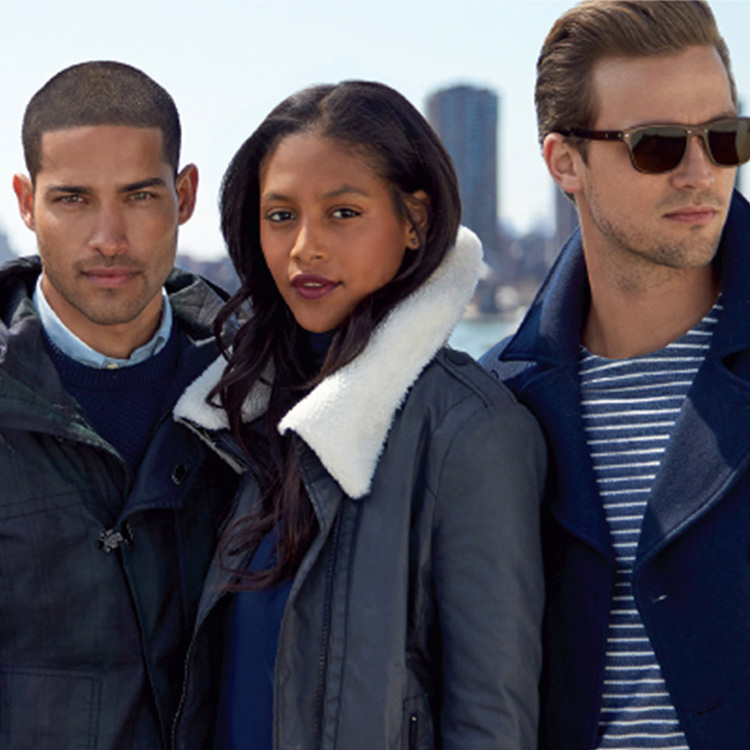 Nautica, Gant, US Polo, Ed Hardy, Aeropostale…the list goes on and on. In fact, if you’re wearing a branded garment in India, chances are that Arvind has something to do with it. And it doesn’t just stop at bringing the who’s who of fashion into India. 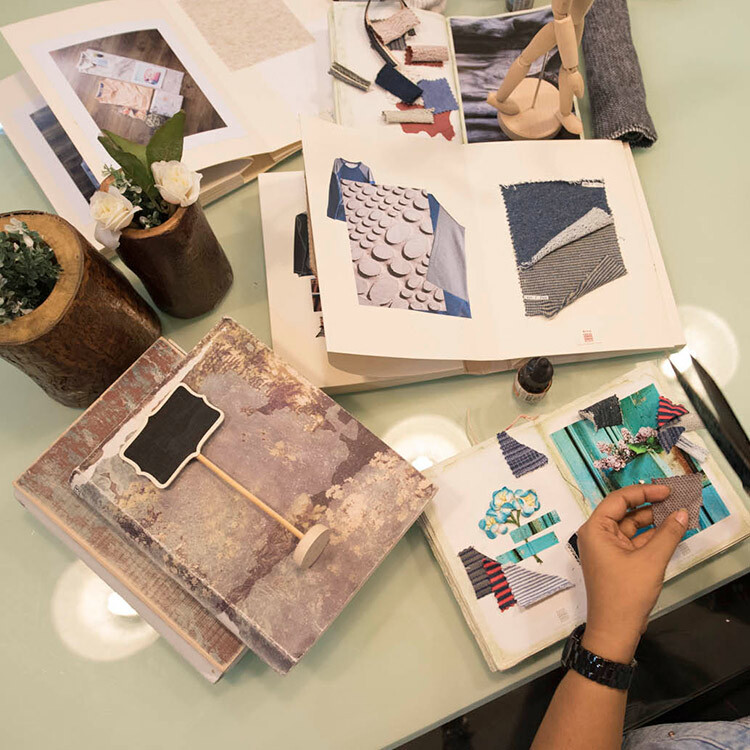 To build the portfolio brand for the future, Arvind has also created top-notch backend capabilities like supply chain and organization, state-of-the-art warehousing and logistics and the best talent base in fashion lifestyle brands in India. 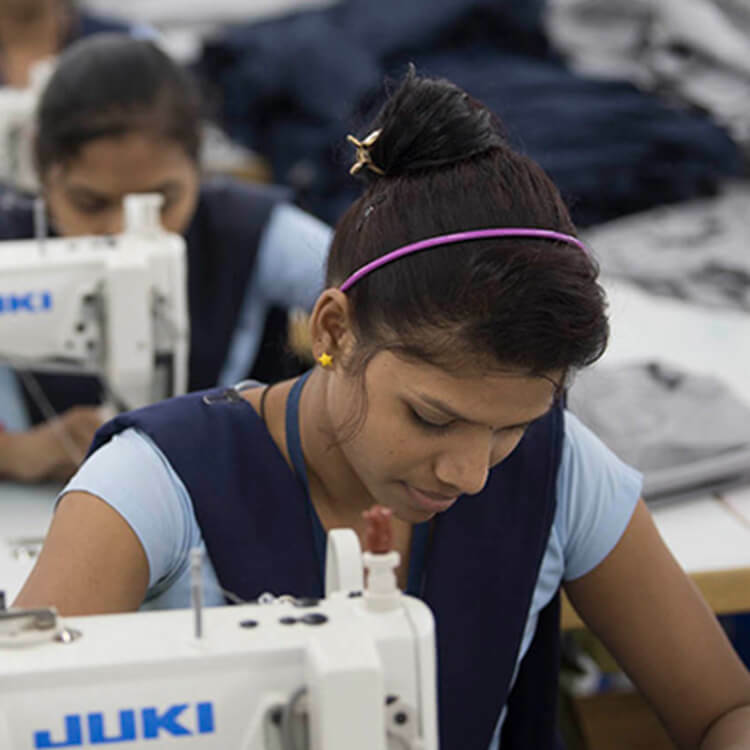 Arvind has tried to ensure that a country of more than a billion gets the best that global fashion has to offer. Our brands are retailed in over 1,300 standalone stores and about 5,000 departmental and multi-brand stores in over 192 cities and towns across India. After all, partnering with the best does have its perks. Taking this powerful thought forward, Arvind wanted to trigger the possibility of empowering a generation by empowering the women. In the state of Gujarat where 15% population is tribal and has limited access to resources, educating the tribal women could create a huge impact on the development of the state and in turn the nation. Arvind fashioned this possibility by opening these women to opportunities that they didn’t know existed, opportunities for self-reliance, growth, and knowledge. We wanted to provide them with a platform that lets them explore their potential, and embrace it. So, the CSR division created a pipeline training system, where young tribal girls received education and skill training, an initiative that would help them get absorbed at Arvind or get jobs outside. Through basic dexterity tests and interviews across Gujarat, we selected 300 girls to come to the Arvind along with their parents and explore the residential setup and get detailed information about the program. Out of the 300 selected, 120 girls decided to stay back in the first round. These girls were given vocational training, accommodation, transportation, learning opportunities and paid employment. 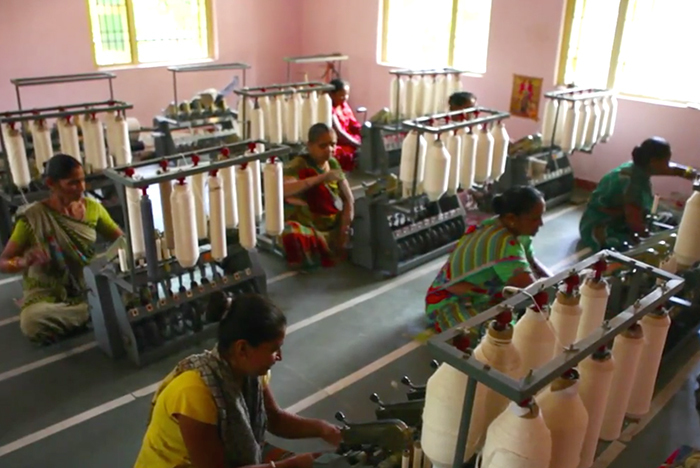 As they moved up the ladder within the Arvind textile division, they were linked to Ambedkar University for pursuing an education that might lead to even better opportunities in the future. After a successful first run of the project and receiving eager requests from other areas, Arvind is now looking to recruit 50-60 tribal girls every two months. By providing these girls with such opportunities, Arvind is trying to break the circle of dependence, poverty, and helplessness that they get stuck in for their entire lives. In fact, when they are educated and have skills to support themselves and their families, they can be better mothers and guardians for future generations. We envision a country where every citizen is empowered, knowledgeable and capable. And, how would the country move ahead if its women are left behind? So, we’re making our big and small attempts to trigger this movement, and look forward to a brighter future for these women. Fashion Isn’t Made On Ramps. It’s Creyated In Your Mind. The ideas of clothing and fashion have evolved as much as man has. 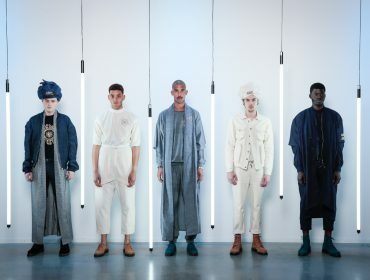 From a basic need to cover the body, to present day, where it has become an expression of individual identity, ideas, and lifestyle.Today, in fashion, personalization has become a mark of valuing one’s own choices, in both style and fit. 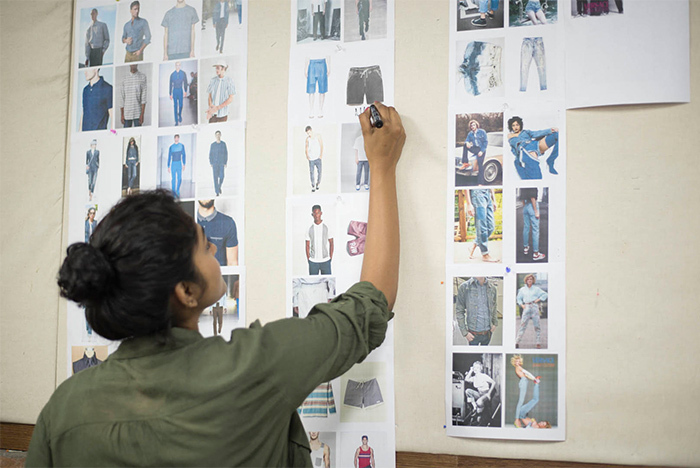 At Arvind, building on the thought of ‘’Perfection is personal,’’ we created tech-driven custom clothes as unique as people who wear them, through an offering called Creyate. 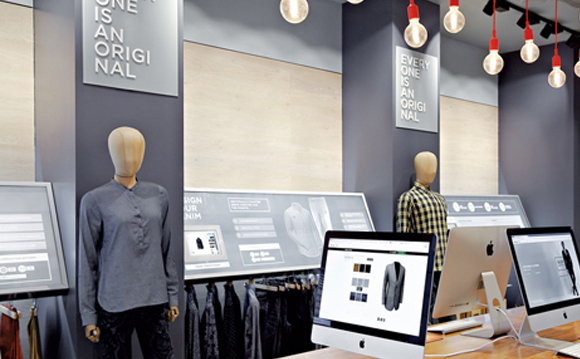 Creyate, through an integrated brick-and-click strategy, collaborates with each customer personally to fashion garments that are as unique as their DNA and fit them like a glove. The apparel is designed entirely digitally through our 3D customization engine that enables every customer to visualize the garment on screen and in a gamified way that customers are bound to fall in love with. 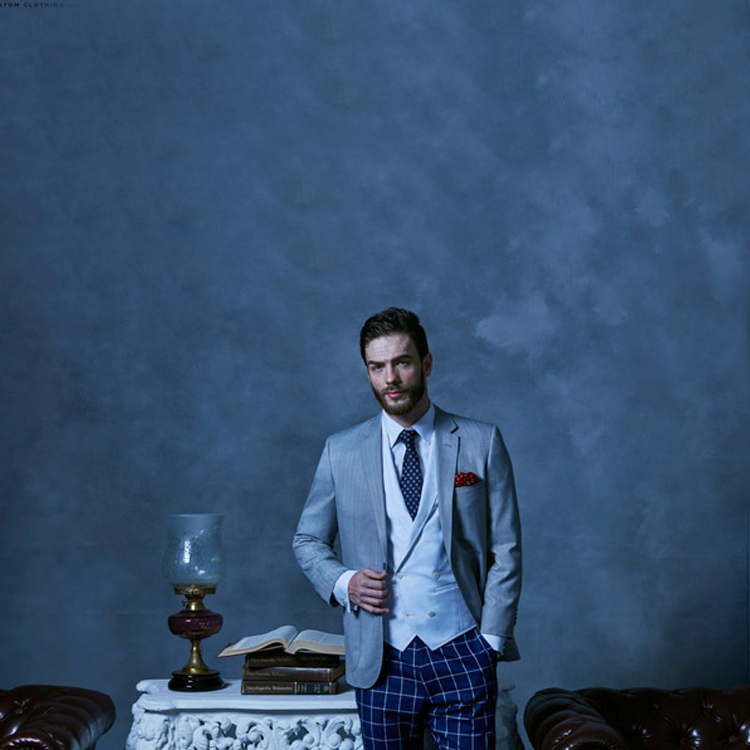 Our made-to-measure specialists craft a perfect story using an array of look books, fabrics, trims and details along with over 25 scientific measurements. The customer can do this sitting at home, schedule a visit with the stylist or just drop by at the retail store. With a luxury line created with ingredients sourced from the most prestigious mills around the world and home visits by Japanese trained style stewards who take you through a customized journey, Creyate gives fashion a new definition. The world is evolving towards a future where lives are integrated with technology that makes experiences smoother and seamless. 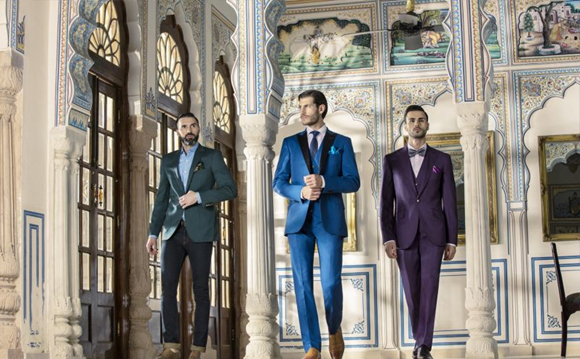 And Creyate is a futuristic solution for every man’s wardrobe. Home. It’s more than just four walls, or a territory to be marked. It is a place that gives a sense of security, warmth, and comfort. 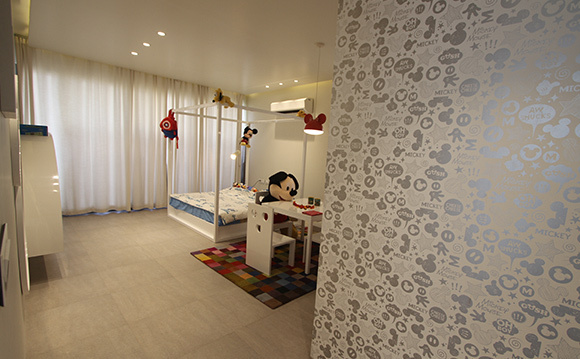 And at Arvind we believe that every person deserves not just a room, but a home of one’s own. 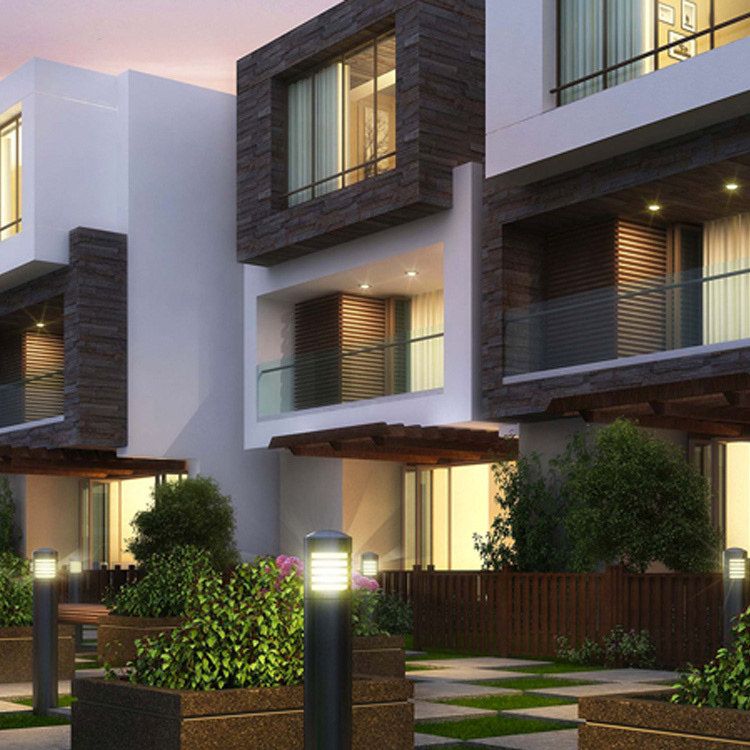 A home that has amenities and infrastructure for a dignified life. So, we envisioned the possibility of rehabilitating the slum dwellers of Sanjay Nagar to safer, better built and comfortable houses. And once the vision was in place, we made it happen, by co-creating these homes along with its residents. 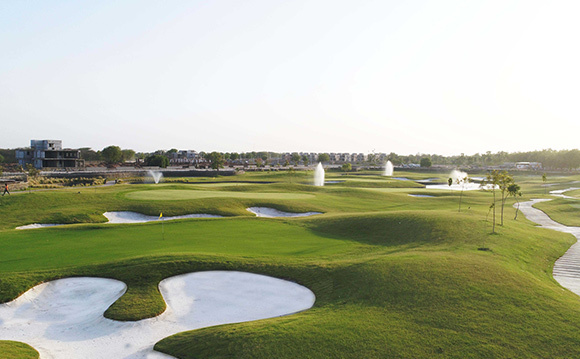 Homes where families can share enriched lives. Rather than make the slum dwellers feel like beneficiaries, we wanted them to have ownership in the project and be our partners. So, Arvind’s SHARDA trust unit collaborated with the AMC, Saath NGO, and the residents to develop a housing network for them. The residents shared 1/3rd of the total cost, which came out to be Rs.2000 per house. while the rest was taken care of by us and our partners. But even Rs.2000 was a substantial amount for some of these residents, which is why they were provided with organized financing. After depositing an amount of Rs.600 in a Seva Bank account, they could acquire a balanced loan. These houses, in turn, had all the basic infrastructure of a modern-day home-like private toilet and working water connections. 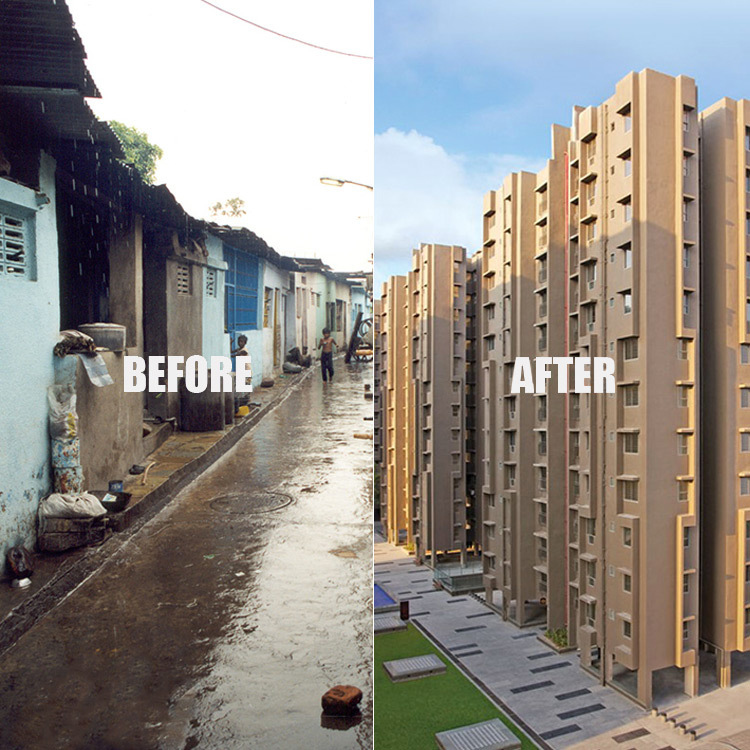 The rehabilitation not only provided safer, better-built houses to the erstwhile slum dwellers but also helped improve their quality of life drastically. They were no longer prone to the risk of disease and social insecurity or discrimination. Instead of the slum areas being isolated and getting a step-motherly treatment, SHARDA trust included them into the housing system of Ahmedabad, leading the residents to feel like equals in a society that they were previously detached from. We can proudly say that The Sanjay Nagar housing project was included in the UNCHS 100 Best Practices Global List. A small step in a long journey towards providing affordable housing for every citizen. And in 2015, the journey was taken a step ahead, by transforming the slums into a working-class, school-going community. Arvind Smartspaces has upgraded these residents by giving them modern world-class towers and living spaces and also the dignity of life, they deserved. But our quest doesn’t stop at the success of the Sanjay Nagar and its people. We strive to keep co-creating better homes, and in turn, better lives and opportunities for the people of our country. Staying healthy and in shape while having your favourite dishes every day. Or maybe visiting your favourite destinations without spending a bomb. As human beings, we are just wired to want the best of both worlds all the time. The online versus offline shopping dilemma is another such predicament we find ourselves in often. While online shopping gives you the convenience of sitting on your couch and going through hundreds of designs across portals, retail stores give you the liberty to take a much closer look at what you’re investing in. But at Arvind, we believe that in the present day and age, one shouldn’t have to choose between convenience and availing the best products and services. That’s why we imagined the prospect of erasing the line that divides the two. We fashioned the possibility of seamlessly merging the best of both worlds, to create consumer journeys sans any kind of hurdles. Our Omni-channel platform enables such integration of online and offline touch points that create smoother journeys for consumers. Today, it powers the largest omni-channel network in India consisting of 1500 stores and warehouses across 22 brands. And why is it necessary for businesses? 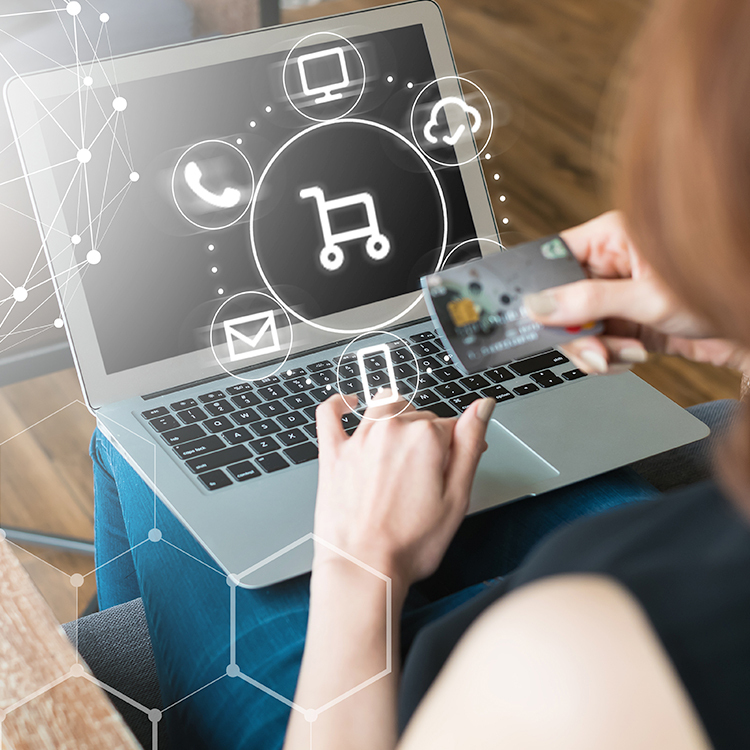 For some businesses, it helps them plug gaps in their brand’s omni-channel journeys while for most businesses, it can provide the customers with what they’re looking for. And for any brand, that’s what kicks off the journey to a loyal customer base, that leads to sustained sales. And besides that, at the backend, it also helps the business make its entire inventory visible and accessible. The platform not only creates holistic consumer journeys but also integrates seamlessly with existing backend architecture, platforms, systems, and solutions. As we move towards a future where every experience needs to be flexible and seamless, we’re doing our part for it, by using the latest technology to transform retail experiences. With Omni-channel, we aim to create a consumer journey so intuitive that it reads your mind. And revolutionizes the way the world shops. 7.5 billion. That’s the number of people Planet Earth looks after today. And so far it’s done a pretty good job of it. Even more so in today’s times where year after year we’re seeing record yields in the agricultural sector thanks to various technological and engineering advancements. We are probably living in the best time ever in the history of human civilization. But we also know that this won’t last forever, especially if the right steps aren’t taken today. One such natural resource whose growth and maintenance are being heavily neglected is cotton. Cotton, which is an integral raw material for the textile industry and the most important natural fiber we have, is unsuspectingly becoming responsible for environmental depletion as well. The cotton crop needs a lot of water, fertilizers, and pesticides to grow effectively and its cultivation, in turn, becomes more tedious than necessary at every level of production. But challenging the status quo and turning things around for a better tomorrow is what Arvind’s world of Fashioning Possibilities is all about. That’s why Arvind became the first company in India to adopt the ‘Better Cotton Initiative’ (BCI), a globally renowned concept to grow environment-friendly cotton. This not only introduced environment-friendly practices into the cotton farming setup but also made the farmers financially self-reliant. BCI helped in re-engineering the cotton production cycle in a sustainable manner, minimizing the negative impact of pesticides and fertilizers on soil, water, and the surrounding natural habitat. All this while, keeping the financial betterment of the farmers at the forefront by eliminating unscrupulous middlemen and providing a fair priced market for the cotton production. At last count, BCI had led to a growth in cotton yield of almost 30 % and reduction of use of water by 27 %, benefitting over 9000 farmers in Gujarat and of course the environment. The project has so far generated employment for more than 60000 people and covered almost 40000 hectares of land. The same farmer who was ridden with debt and had to consider alternate means of employment is now a pioneer of new-age farming practices and set to build a future not just for himself, but also many generations to come. At Arvind, being an environmentally and socially responsible company is part and parcel of our existence. The BCI is just one of the ways of how we try and make that happen. We have started by changing a few thousand hectares and a few thousand lives. And we are certain it won’t be long before these thousands turn into millions. That’s power of Fashioning Possibilities. That’s the power of Arvind.